Beta-hydroxybutyrate (BHB): Nutrition strategies that rely on carbohydrates always leave us needing more food. On the other hand, the ketogenic diet relies on and taps into your body’s stored fat for longer, more stable energy with no bonking. Many keto-lovers adopt this lifestyle because they love the mental clarity, focus, and productivity that they experience while in ketosis. Whether you’re full-time keto or not, our Perfect Keto is designed to support ultimate mental performance. Quick & easy ketosis: Perfect Keto exogenous ketones get you in ketosis. Our beta-hydroxybutyrates (BHB) formula was designed for those on a ketogenic diet, or others who may struggle to get back into ketosis after eating carbs. Perfect Keto raises blood ketone levels, improving athletic endurance, mental performance, and energy levels. Easy to mix: The bhb ketones in our BASE keto drink mix dissolves easily in water, coconut milk, coffee and shakes. It's the best-tasting ketones powder out there, with none of that fake tangy taste you get from fillers and other artificial ingredients. 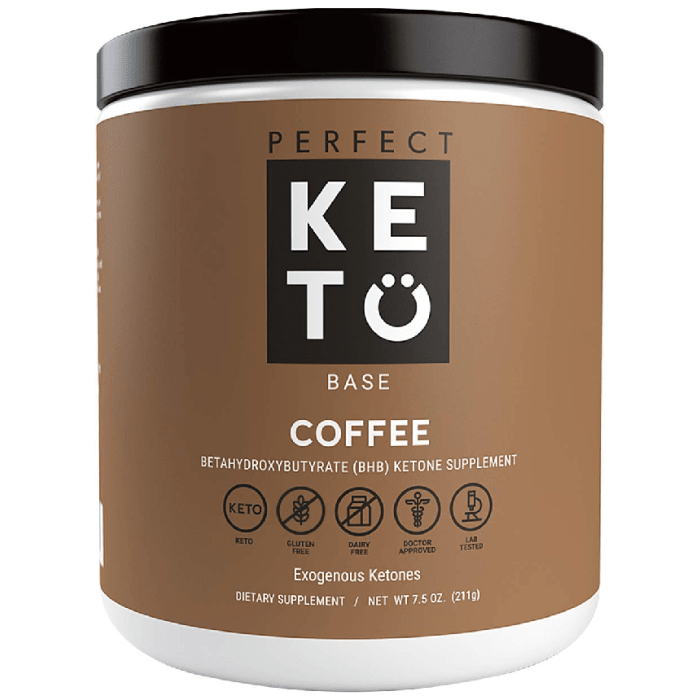 High quality ingredients: Perfect Keto Base contains high-quality beta hydroxybutyrate (BHB) that's been extensively lab tested for purity, quality and efficacy. Each container Perfect Keto BASE contains 15 servings of ketones that are instant to support your ketone diet. Made from high-quality beta hydroxy-butyrate (BHB), with no fillers or additives, Keto Base makes it far easier to enter a state of ketosis. And stay there. It can be difficult to keep to a strict ketogenic diet or even get into ketosis when you are diligently counting calories. This is why using doctor-developed nutritional powders is an effective strategy in your health and wellness pursuit.